It's About Wellness For Life. The CFCI Foundation Wellness Initiative helps the whole person, business and community be well for life. 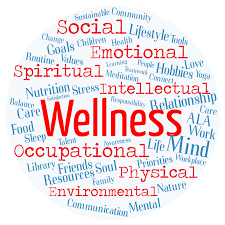 We believe that wellness has a profound effect on the spiritual, social, emotional, intellectual, occupational, physical and environmental areas of life. Through our micro-franchise with Healthy Place Botanicals, CFCI Foundation is able to sponsor online oil dispensaries. These sponsored dispensaries are for everyone who desire to benefit immediately from our wellness initiative and help others to do the same. These dispensaries can generate almost immediate cash flow for our participants. The CFCI Foundation Wellness Center is a health and wealth education platform that offers access to quality development programs, products and services that builds wellness intelligence. We know that people, businesses and communities perform better and are more successful when they are well. We want you to use the free education offered by the CFCI Foundation Wellness Center and our online mobile dispensaries to increase your wellness intelligence and benefit financially. You also receive great discounts and more. Thank you in advance for showing your support and interest in CFCI Foundation programs and initiatives. Click here to learn more or to start now.